For consumers seeking an affordable, reliable sports car, they’d be hard-pressed to find a more impressive offering than the 2017 Mazda MX-5. The vehicle provides many of the amenities that a driver associates with this specific segment, including a powerful engine and a number of driver-centric amenities. Considering the price tag that accompanies this particular vehicle, you’re unlikely to get a better bang for your buck in the entire industry, much less the segment. This particular variation of the acclaimed Mazda sports car includes all of the amenities and capabilities that a driver would generally expect from this segment. For starters, the vehicle is equipped with an incredibly powerful engine. The SKYACTIV-G 2.0-liter DOHC 16-valve four-cylinder engine is capable of cranking out an impressive 155 horsepower and 148 pound-feet of torque. However, the most impressive aspect of this unit is the surprising fuel efficiency specs. Thanks to inclusions like the intuitive six-speed Sport Automatic Transmission, drivers can anticipate a 35-mile-per-gallon highway fuel efficiency, numbers that are rarely seen in this particular segment. Of course, the vehicle also includes a number of additional amenities that ultimately elevate the model to a whole new level. Inclusions like the leather-wrapped steering wheel and leather-wrapped shift knob add some opulence to the interior, while the 16-inch aluminum-alloy wheels will have your fellow drivers gawking at your recently-purchased ride. Other exterior amenities include intimidating black power side mirrors, a black cloth convertible top, and daytime running lights/LED headlights. 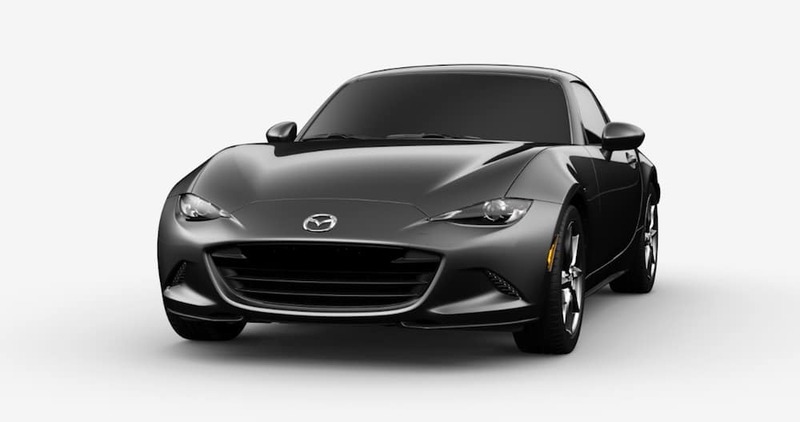 The other amenities included in this specific variation of the 2017 Mazda MX-5 Miata should influence the literal driving experience. For instance, the MP3-compatible audio system allows you to jam out to all of your favorite tunes. If you are going to listen to music, you’ll surely appreciate the six-speaker sound system, including the clever “driver’s headrest speakers.” The inclusion of the Bluetooth hands-free compatibility also means you’ll never have issues connecting your preferred gadget. To keep those phones fully charged, you can lean on the USB port. Perhaps best of all, there are a number of safety and security functions that will make the driver feel protected and secured. For instance, the extensive airbag unit (which includes dual front airbags and side-impact airbags) should provide the necessary amount of cushion during a collision, while the aero board wind blocker won’t influence your handle of the vehicle. The Mazda Advanced Keyless Entry System is one of the most clever inclusions, as drivers can remotely manipulate their vehicle. This variation of the popular nameplate boosts the opulence to a whole new level. For instance, inclusions like the hulking 17-inch aluminum alloy wheels with Dark Gunmetal finish are as effective as they are intimidating, and those should only help emphasize your vehicle’s versatility. Other notable exterior additions include the front air dam and rear lip spoiler, which adds an athletic persona to your ride. Otherwise, the majority of the interior additions to this particular version of the model are cosmetic, although they’ll surely be appreciated by owners. The most notable inclusion is the MAZDA CONNECT infotainment system, which provides easy access to an assortment of applications via the seven-inch full-color touchscreen. The unit also includes a multi-function commander control (so drivers won’t have to take their eyes off the road), as well as voice command capabilities. The E911 automatic emergency notification is the most notable inclusion, as emergency help is a click away if the driver finds themselves in an accident. To accompany the touchscreen unit, engineers also included the elaborate BOSE Audio System, which includes nine speakers. If you like to jam out to your favorite tunes during a commute, you’ll appreciate this unmatched listening experience. A number of safety functions are also included on this specific version of the Miata. The Blind Sport Monitoring system will be instrumental on the highway, as the system should help keep drivers out of harm’s way. Meanwhile, functions like the Rear Cross Traffic Alert should reduce those pesky fender benders. This is truly the optimal version of this specific nameplate and for very good reason. After all, this vehicle takes those previously-mentioned variations of the model and takes them to a whole new level. It starts with clever safety functions, like the rain-sensing windshield wipers, High Beam Control unit, Adaptive Front Lighting System, and the useful Lane Departure Warning System. These various inclusions will prove to be instrumental, whether you’re looking to avoid devastating collisions or minor fender benders. The Mazda Navigation system is also notable, as drivers can rely on this system if they’re attempting to find their way to a specific destination. Finally, the auto-dimming rearview mirror with HomeLink provides optimal convenience, as drivers can simply click a button when they want to access their garage. If you’ve finally zeroed in on a specific version of the Mazda MX-5, then it’s time to start the buying process. Well, if you’re seeking one of the easiest, stress-free experiences, you can’t do much better than DePaula Mazda. Located in Albany, New York, the dealership is currently stocked with a number of the brand’s vehicles, meaning you’ll always be able to find a specific nameplate. Furthermore, their helpful sales team will walk you through the entire process, assuring the utmost convenience. 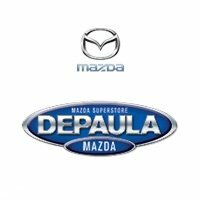 If you’re seeking a Mazda dealership, then head into DePaula Mazda today!